Kids love an opportunity to meet Santa Claus at Christmas. Especially when they also have the opportunity to sit in his Magical Ice sleigh. 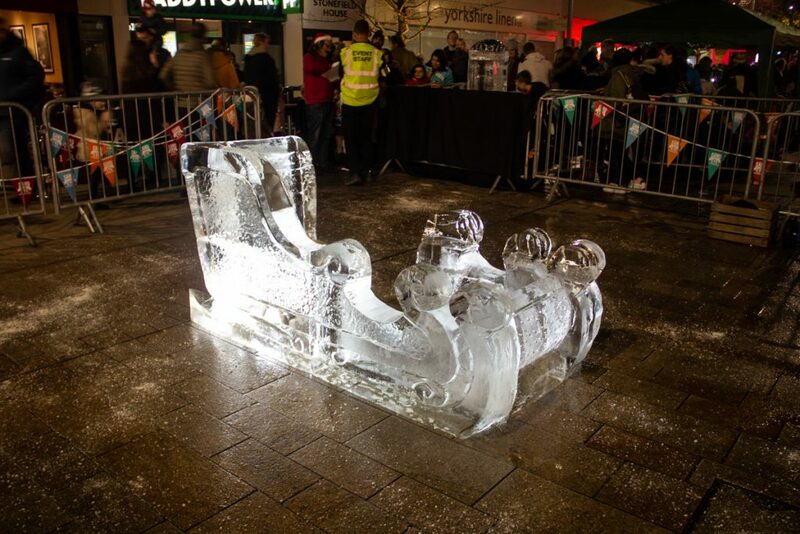 We were really pleased to return to Hull for the second year in a row to perform a live ice carving for the Christmas lights switch on festivities and attractions in the city centre. There were lots of things to see on the day and we carved an ice Sleigh and also an Ice Post box where you could post your very own letter to the North Pole. As ever the ice sleigh proved to be a popular attraction, with adults and children queuing up to have their photographs taken once inside. There was also a huge demand for the Letter writing workshops where children could write a letter to Father Christmas. 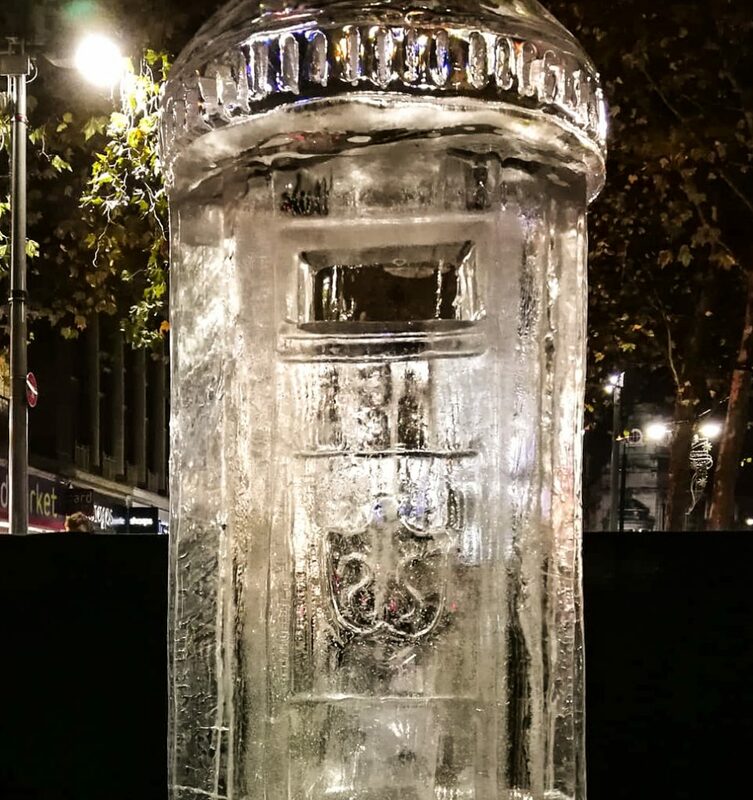 They could then post it in the magical Ice post box where it would be sent to the North Pole for Santa’s perusal. We arrived on the day with vans loaded with ice and got to work. 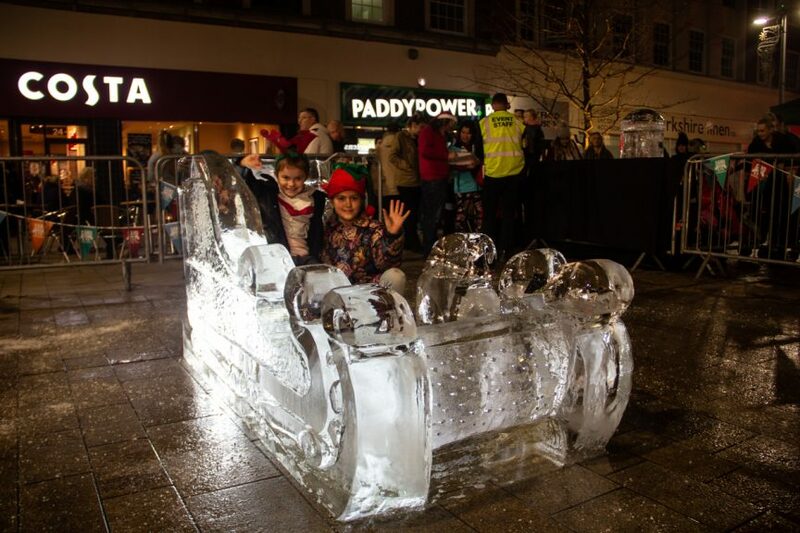 With the usual excitement and noise of chainsaws and chisels, throughout the day the ice sleigh emerged ready for everyone to enjoy. At the same time our trusty elf assisted families in writing their letters to Santa, which they posted into the ice post box. At the end of the day Santa’s helper collected all the letters and sent them to Santa directly.